If you want to open up an online store, then WooCommerce is one of the best and most affordable options. 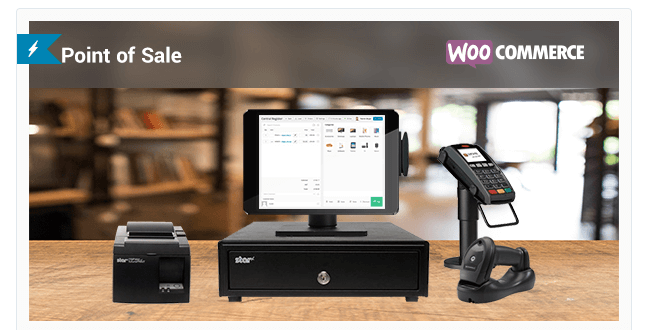 If you already run a WooCommerce store, then you know how easy it is to setup your store and start selling. 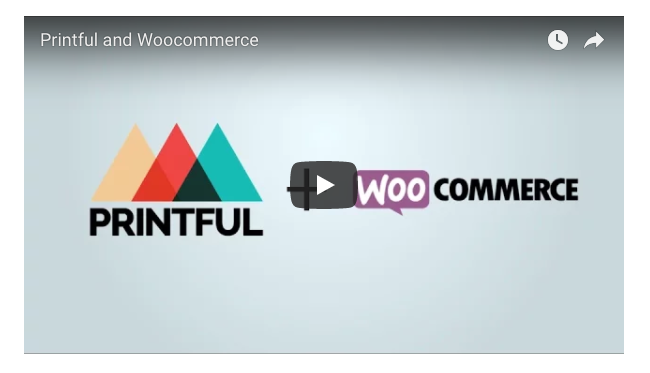 However, the true beauty of WooCommerce is the sheer number of available extensions that allow you to add various features such as accounting integration, CRM features, abandoned cart recovery and more. 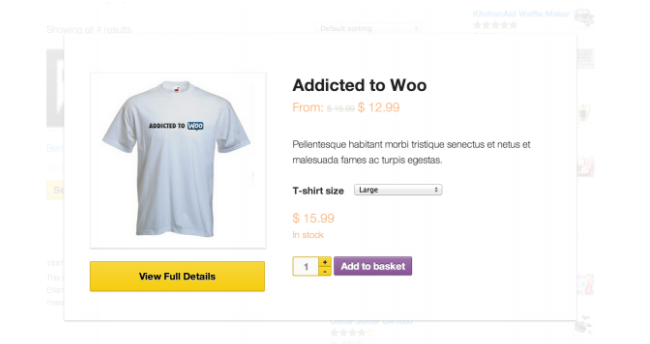 In this post, we’ve rounded up over a 100 of the best and most useful WooCommerce extensions that will help you take your store to the next level. 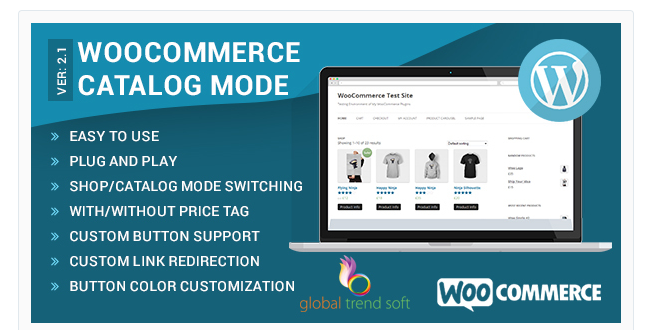 The WooCommerce plugins listed here are categorized into Store Enhancements, Marketing, Payments, Product Type, Shipping, Store Management & Miscellaneous. Let’s start our list with various store enhancements. This section includes plugins that will help your customers find the products they are looking for faster, see prices in their own currency, create wishlists, schedule their delivery date, and generally improve their user experience. This extension adds search relevance and instant results to your store that will allow you to improve and control the search results and help visitors to find products faster. With the help of this plugin, you’ll be able to add new options to the checkout process, allowing your buyers to select gift wrapping, rush fulfillment, shopping insurance, and more. This plugin allows you to add new options to your products which include input boxes, dropdowns or checkboxes. Buyers can then choose to customize their product with gift messages, donations, laser engraving or any other customization option that require user input. This widget is handy for anyone who runs an international online store. It uses Open Source Exchange Rates API to pull the latest exchange rates and substitute store prices in real time. Checkout is still completed using your base currency but you can store the converted price on the backend so you know the price your buyers saw. Thanks to this plugin, you can add watermark to all your product images, including catalog, thumbnail, main image, and product popups image. You can also apply watermarks to already uploaded images and choose from nine watermark positions. 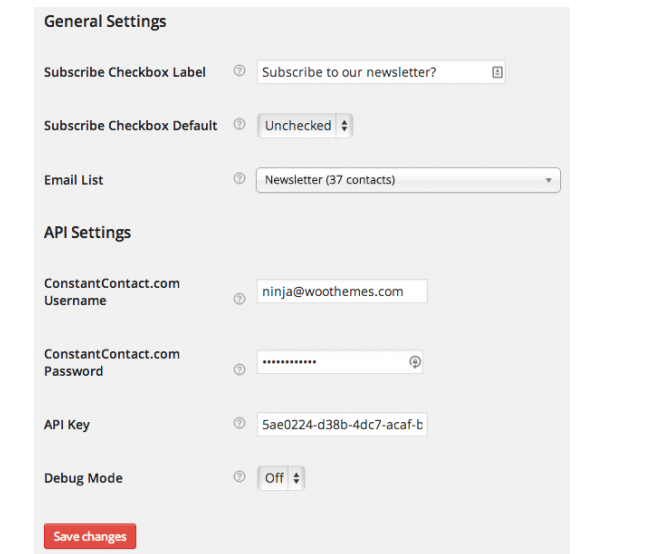 Using this plugin, you can add custom fields to your checkout pages. The plugin supports text, select, checkboxes and datepickers and can be used to add delivery dates, custom messages, and more. Use this extension if you’d like your buyers to have the option of creating both public and private wishlists and adding products to them for later date. Guest customers can create and save unlimited lists for up to 30 days while registered customers can save unlimited wishlists indefinitely. This plugin can be used to show promotional offers, latest offers or a newsletter sign up form to new and returning visitors. 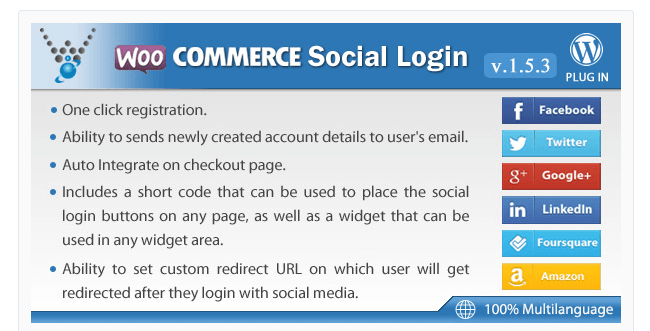 You can display different content to logged in users, logged out users, and logged in customers. This plugin allows you to display different content based on various rules such as when a buyer adds a product to a cart, when they add specific quantity, if they add certain categories, and more. You can display messages, advertisements, reminders, or other content based on your specified conditions. 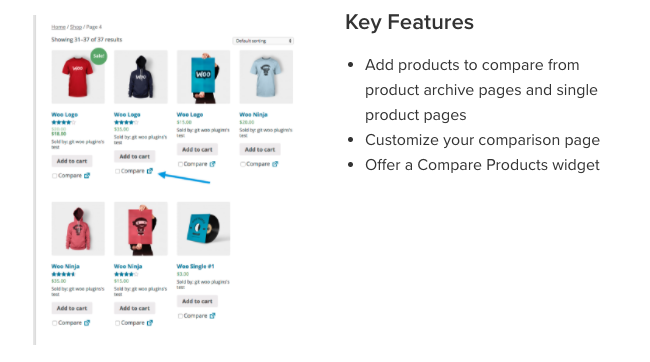 The WooCommerce Products Compare plugin will add the ability for your buyers to compare two or more different products so they can find the right product for their needs. It comes with a Compare widget and you can customize the compare pages to match your store. This plugin allows you to enable the quick view on looped products or in buyer’s cart where they can quickly see product information such as available sizes, colors, price, and then add the product to their cart. This product search plugin for WooCommerce allows your site customers to filter products by categories, attributes, products tags, and products custom taxonomies price. Try this extension if you’d like to give your customers the ability to choose their delivery date. They can choose the date and time most convenient for them and deliveries can be synced to a Google Calendar. This plugin allows the customers to choose a delivery date and time on the WooCommerce product page. The delivery date and time will be displayed while viewing the order. A good store needs a powerful and strategic marketing strategy. This section has plugins that will help you take your marketing game to the next level with customized emails, follow up emails, grow your email list, and more. If you’d like to add a little flair to the emails that come from your store, consider this plugin. It allows you click, drag and drop elements into your emails using the built-in WordPress Customizer to visually modify the design of your email templates. If you want to increase your conversion rate, then consider the Follow Ups plugin. It allows you to send emails and tweets to your customers to remind them of the items they left in the cart, viewed items, promotional offers, coupons, and more. This plugin will allow you to reward your customers for their purchases, adding a review, or signing up for your newsletter by awarding them a specific amount of points. They can use the points towards a discount on their next purchase. With the help of this plugin, you can track the user behavior across your e-commerce store during the entire shopping experience and checkout process, and get access to product performance and sales performance reports. This plugin allows you to sync your customers to any email list in your MailChimp account so you can create targeted email campaigns based on buying behavior. If you use Google AdWords to drive customers to your store, consider this plugin. It tracks the value of WooCommerce orders in Google AdWords, allowing you to optimize all your AdWords campaigns. Using this plugin, you can insert a Facebook pixel on every page on your site and it will automatically configure all the necessary standard events for you needed for your WooCommerce store. Pro version of the plugin comes with extra features such as traffic and URL source tags, dynamic tags, and more. If you want an easy way to add your customers to your ConstantContact email list, you can do this with the help of this plugin. A checkbox can be added to the checkout process as well as a subtle reminder on the Order Received page prompting them to sign up for your newsletter. This plugin allows you to tag your products with a certain hashtag and Instagram photos tagged with that hashtag will display under your product. This allows you to showcase how others are using your products. If you want to keep your customers updated on the status of their order, consider this plugin. 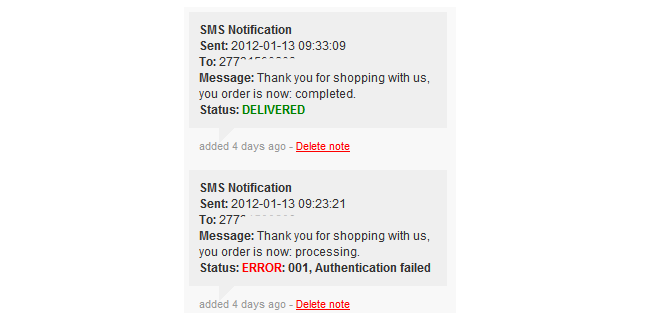 You’ll need to sign up for Clickatell Central API and then all you have to do is configure the SMS notifications. 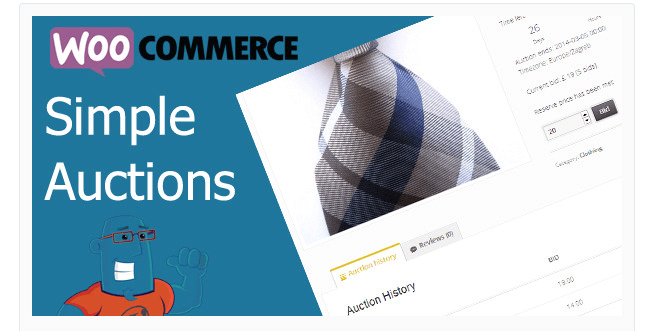 WooCommerce Simple Auctions extends your store with auction features. You can setup your store to run regular and reverse auctions similar to ebay along with your regular products. Consider this plugin if you’d like to keep track of your customer data, assign them into groups like leads and customers, and enable follow up emails, calls, and notes for each of your customers. 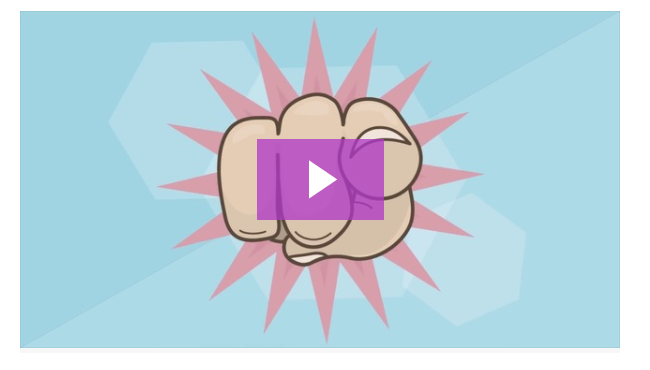 With this plugin, you’ll be able to create sales funnels in your store and offer additional products to be available as upsells, downsells, cross-sells or one time offers during the checkout process thereby significantly increasing your conversion rate. If you want to promote your store on Facebook, give this one a go. The plugin facilitates integrating Facebook pixel into your store and allows you to connect your shop with your business page so you can drive customers from Facebook to your site. The Abandoned Cart Pro for WooCommerce plugin makes it possible to send multiple reminder emails to customers who placed items in the cart but never finished the checkout process. Using incentives such as discounts and coupons, the plugin encourages users to come back and finish their purchase and helps you recover sales. Out of the box, WooCommerce offers a variety of payment methods like PayPal, direct bank transfer and cash on delivery. However, there are numerous extensions that allow you to integrate even more useful payment methods which include WorldPay, Amazon Payments, Square, and even Bitcoins. Using this plugin, you can accept PayPal, credit card, and debit card payments. The plugin will help you detect and prevent fraud by enabling AVS, CVV and custom risk thresholds. If you’re preferred payment processor is Stripe, you can use the Stripe plugin to accept Visa, MasterCard, American Express, Discover, JCB, and Diners Club cards, Apple Pay, and even Bitcoin payments directly on your store. Easily integrate Amazon Pay with your WooCommerce store and allow customers to pay using their payment and shipping information saved on Amazon. Orders are passed to Amazon Payments and protect you from fraud. Link your offline and online store payments thanks to the integration with Square. The plugin will allow you to manually and automatically sync inventory changes between your Square account and WooCommerce store. Quickly integrate all major payment methods in WooCommerce, including credit cards, PayPal, Bitcoin, and others. The plugin even allows you to process both full and partial refunds and is compatible with WooCommerce Subscriptions. The Authorize.net AIM plugin gives your customers the ability to pay with credit cards, Authorize.net eChecks, and Accept.js. This plugin allows you to configure simple and advanced shipping and payment rules based on product types, categories or shipping classes. You exclude certain shipping methods as well as create product-level restrictions to comply with shipping carrier terms-of-service and customs import regulations. Certified by 2Checkout, Inline Checkout creates an iframe checkout option which displays a secure payment form inside your WooCommerce store. Receive transactions from 196 countries through 87 currencies and 15 languages. With this plugin, shoppers are redirected to WorldPay payment pages, and their payments are processed by WorldPay. Shoppers can pay with all major credit or debit cards. This WooCommerce plugin will automatically add a PDF invoice to the order confirmation emails sent out to your customers. Includes a basic template as well as the possibility to modify/create your own templates. This plugin allows you to sell the same product in multiple currencies based on the country of the customer. It automatically detects the visitor’s country using the geolocation feature in WooCommerce and displays the currency and price you have defined previously for this country. 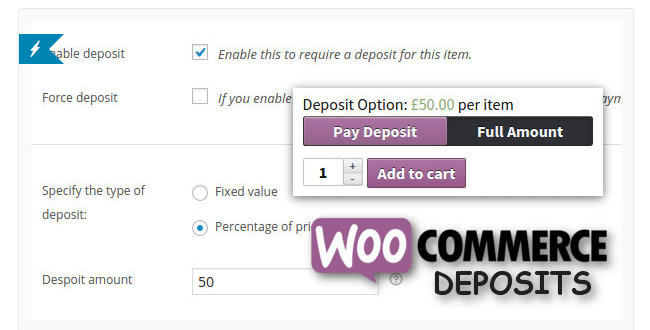 Deposits for WooCommerce plugin allows you to accept deposit payments by percentage or flat amount. You can also accept partial payments that are spread across a time period, like 50% at time of placing order, 25% after a week and the final 25% in 2 weeks. While WooCommerce is marketed as the perfect store to sell your physical and digital products, you can also use it to sell memberships, program or product subscriptions, appointments, and a variety of other products. 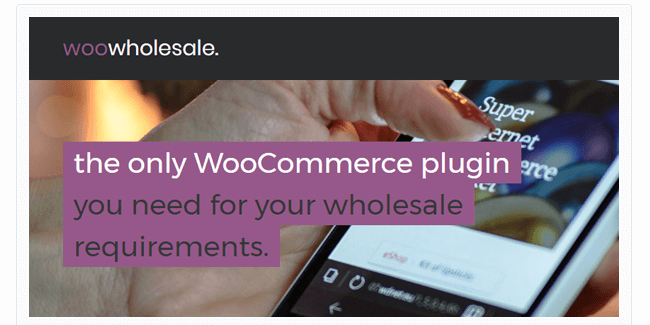 Check out the following selection of WooCommerce plugins that will help you setup and sell different product types. 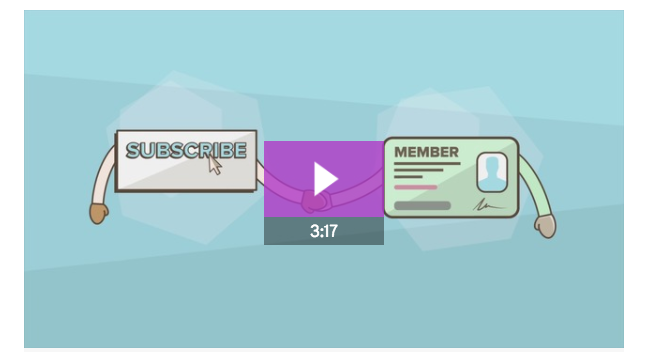 WooCommerce Memberships is an easy-to-use, site-wide membership plugin that allows you to restrict your content to members, “drip” that content over time to members, sell access to memberships, include memberships with product purchases, manually assign memberships, and completely integrate restrictions with your store. With WooCommerce Subscriptions, you can create and manage products with recurring payments. You can add a variety of subscriptions for physical or virtual products and services. With Product Bundles, you can group simple, variable and subscription products to include virtual and downloadable products to quickly build complex products and simple product kits. WooCommerce Photography is a plugin that will help you manage and sell your images for events, or as artwork. It includes batch uploader which will help you speed up the time needed to upload all your images. If you want to sell tickets for your next event or conference, this plugin can help. You can create and sell tickets directly to customers, offer multiple ticket types, and more. Use this plugin to allow customers to book appointments and reservations on your website. You can sell overnight bookings, tickets, tours, hotel reservations, appointments and rentals. 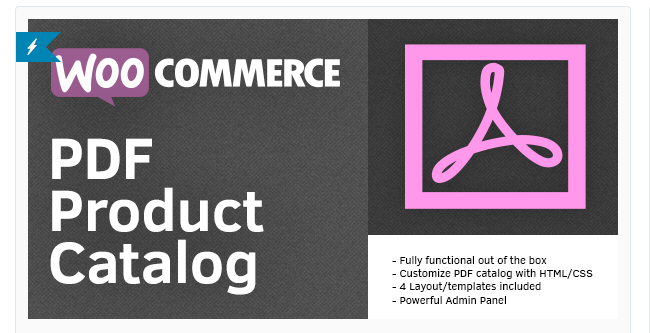 manage them on the WooCommerce Edit Product screen and add them on a per product basis. Woo Checkout Field Editor Pro plugin provides an easy way to add, edit, delete and change display order of the fields displayed on the checkout page. You can add custom fields in Billing, Shipping and Additional fields sections. This plugin helps you to easily export and import products in your store. You can export and import products with a simple .csv file. 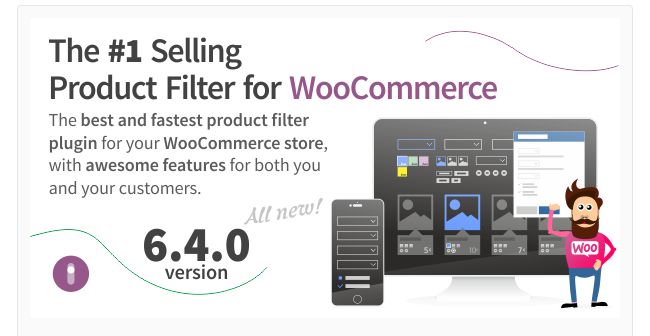 WooCommerce Product Filter offers unlimited options, so that your customers can filter by products, categories, attributes, stock level, and more. Includes advanced features such as adaptive filtering and smart filter analytics. The Composite Products plugin allows you to use simple and variable products, downloadable products, and product bundles to create product kits with advanced pricing, shipping, inventory management, and scalability requirements. Getting the purchased products into the hands of your customers is usually the top priority for any store owner. If you want to integrate more shipping services and provide your customers with plenty of choices, then this section will be right up your alley. DHL WooCommerce Shipping plugin helps you to get shipping rates from DHL APIs based on product weight, post code, and other relevant details. 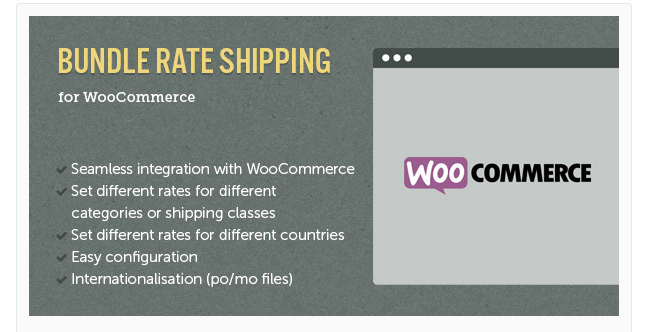 Then, it will add DHL shipping method as one of the shipping methods in WooCommerce. The ShippingEasy plugin downloads orders from your store and automatically maps to custom shipping preferences and auto-pastes back tracking information to your stores. Supports all major carriers. The Shipstation plugin imports your orders automatically into a streamlined dashboard and providing you with lower USPS rates. They also support all other major carriers. With the WooCommerce Advanced Free Shipping plugin you can setup custom advanced rules to determine when a free shipping rate should be available for the customer. 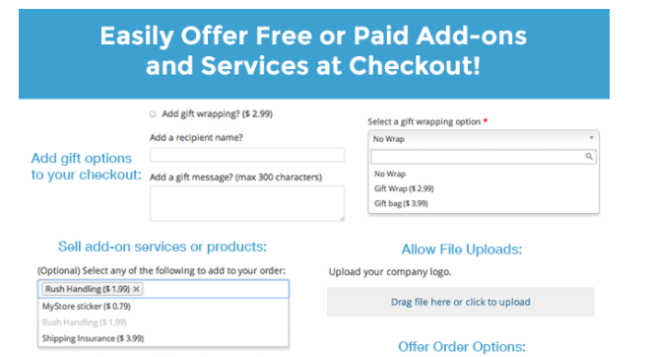 This plugin allows you to provide customers with special bundled shipping rates when they purchase multiple items. You can define bundled shipping rates based on the shipping destination, the categories of the products being sold, or their shipping class. The Cart Based Shipping plugin allows you to set different shipping rates based on three calculation methods: by the subtotal price, by the number of items in the cart, and by weight. The Fedex WooCommerce Shipping plugin pulls shipping rates from Fedex APIs based on product weight, post code and other relevant details and then adds Fedex shipping method as one of the shipping methods in WooCommerce. This plugin integrates directly with USPS allowing you to display the most accurate shipping rates and add USPS as a shipping method to your store. With this plugin, you can extend WooCommerce’ default shipping options by defining multiple shipping rates based on location, price, weight, or item count. With the Shipment Tracking plugin, you can provide customers with an easy way to track their shipments. They can view the information in emails, the order tracking page, and the order view page in their account section. 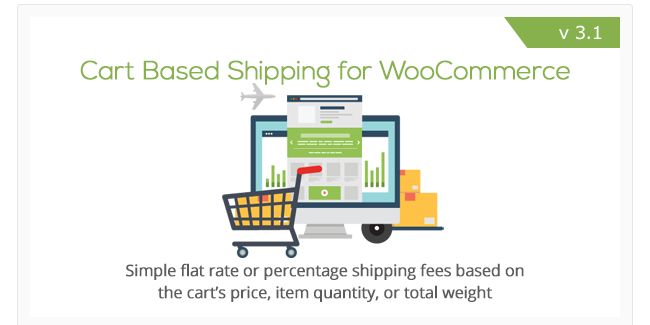 This plugin allows you to calculate shipping costs based on weight and/or cart total. You can add handling or insurance costs above a certain value and create COD (cash on delivery) shipping method with additional costs. The WooCommerce Role-Based Methods plugin enables you to individually limit available shipping methods and payment gateways for each user role configured in WordPress. With the Shipping Multiple Address plugin, your customers can specify multiple addresses for cart delivery to send their order to different locations or send any quantity of products to any address. This plugin allows you to offer shipping rates based on the distance or total travel time to your customer as well as charging extra based on the total cart value, total product weight, and the number of items in the cart. Use this plugin to integrate your store with Shipwire. Provide customers with real-time shipping rates, automatic order fulfillment processing, and live inventory / tracking updates. Automatically ship orders from your WooCommerce site to your customers with Fulfillment by Amazon. 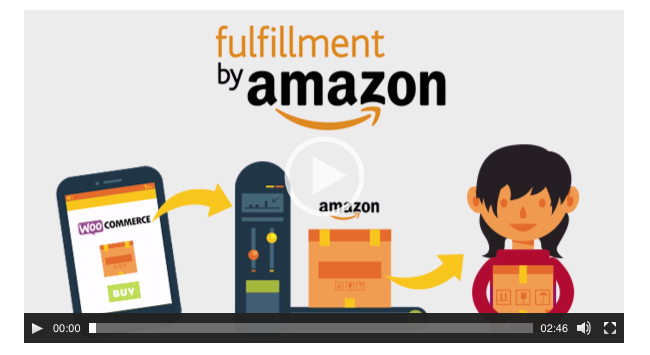 With the help of this plugin, Amazon will pick, pack, ship, and track orders for you. Use Printful integration if you sell shirts, mugs, pillows or anything else that needs to be printed on demand. 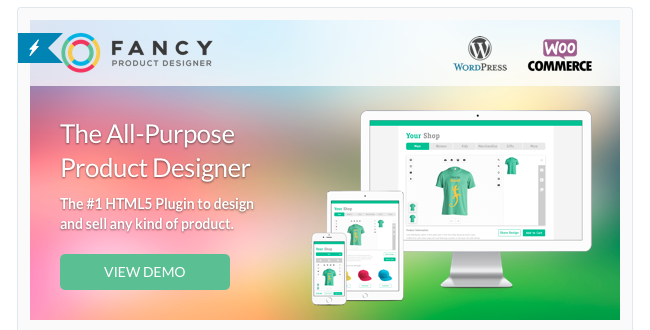 The plugin will pull orders from your store, process and print the orders and then ship them to your customers. 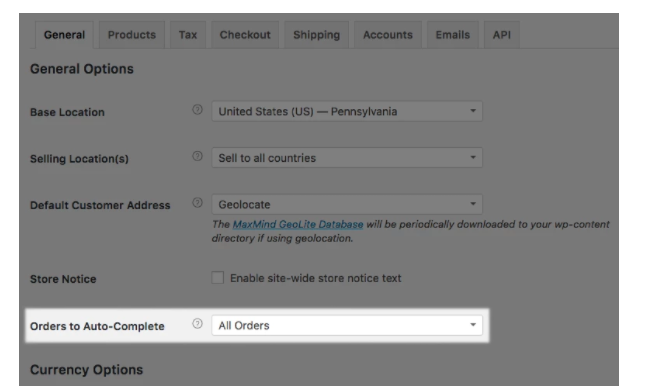 With this plugin, you can attach tracking details to your orders manually or automatically via FTP or CSV bulk import. It has 80+ pre-defined shipping services and the ability to add more. 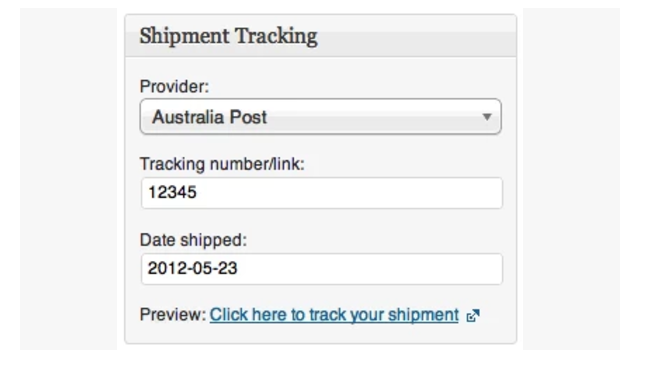 Customers can track orders directly from the tracking link attached in the Order Completion Email. Managing your store on a day-to-day basis is essential if you want to keep it running smoothly. The plugins in this section of the guide will help you get ready for the tax season, make sure you’re compliant with US export rules, sync your orders with your accounting software, and automate some of the management tasks. 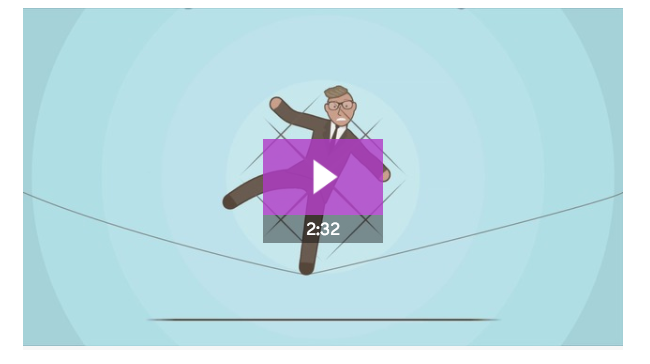 Tax time couldn’t be simpler than with this plugin. TaxJar calculates how much sales tax should be collected at checkout, keeps track of your sales tax collected by state, county, and city on a daily basis and files what you owe to the states for you. 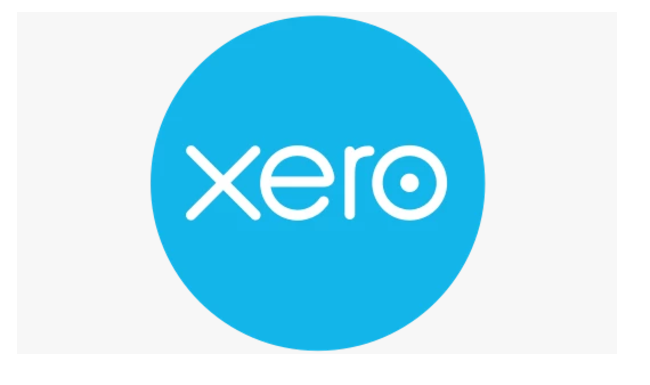 Xero for WooCommerce gives you the ability to set up automatic creation of invoices in Xero for e-commerce sales. Each order placed in your WooCommerce store is securely sent to your Xero account, including all product, shipping, discount, and tax data. Payments are automatically applied to appropriate invoice. This plugin allows you to automatically email PDF invoices to the customer while at the same time creating new customers as new clients in FreshBooks. It also syncs WooCommerce order numbers with Freshbooks invoice numbers. If you are US based, you are required to comply with export regulations published by several US departments, such as the Department of Commerce, the Department of the Treasury and the Department of of State. This plugin checks whether a customer is on the screening list and then either process the order as usual or place it on hold while additional verifications are made. 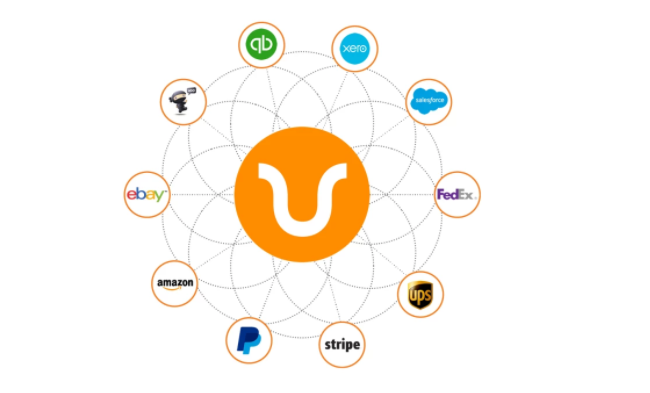 Unify connects your store with hundreds of applications such as PayPal, QuickBooks, and Fedex to send data from your store and automate tasks such as accounting, shipping, stock, and more. This plugin allows you to automatically mark orders as complete for shippable products or virtual products like services as well as to prevent orders from automatically completing. If you sell to European countries, this plugin is a must. The EU VAT Assistant plugin calculates the VAT due under the new rules. You can use the gathered information to prepare VAT reports, which will help filing the necessary VAT/MOSS returns. 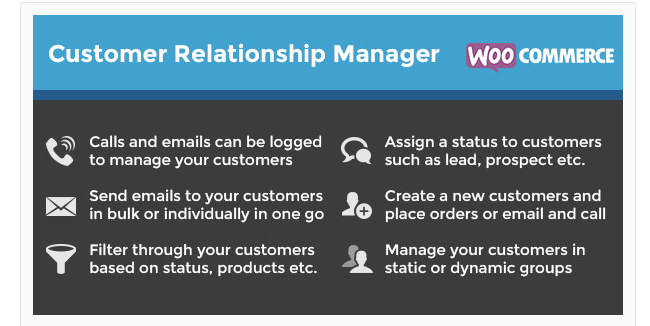 Use the WooCommerce Help Scout to connect your store to a Help Scout mailbox and allow customers to request assistance with orders and to receive their answers as quickly as possible. 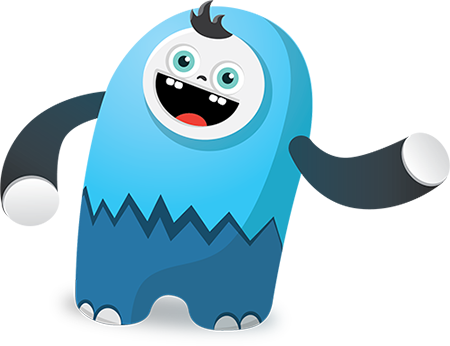 The LiveChat plugin makes it easy to connect with website visitors and convert them into customers by allowing them to get in touch with you at any point in time while they’re on your site. 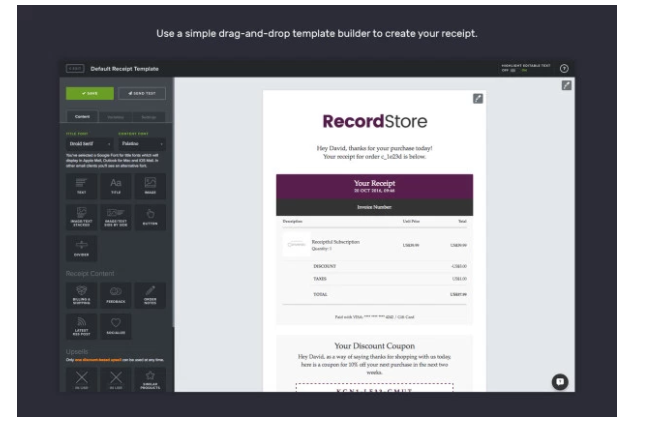 This simple plugin allows you to export your customers and orders in .csv format and import them into any other tool such as your CRM, accounting software, mailing list, and more. This plugin adds multi-store features to your existing WooCommerce store. 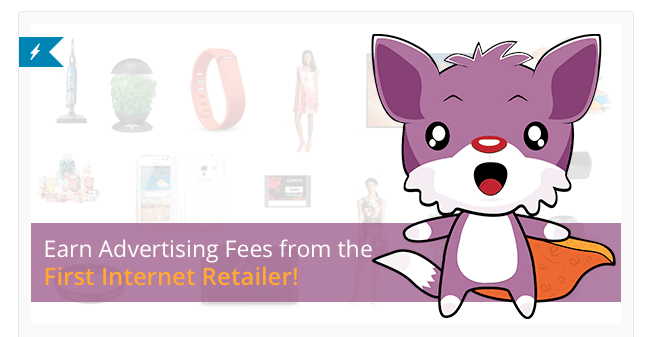 The plugin allows you to run several stores with one WooCommerce installation which comes in handy if you’re selling vastly different products. 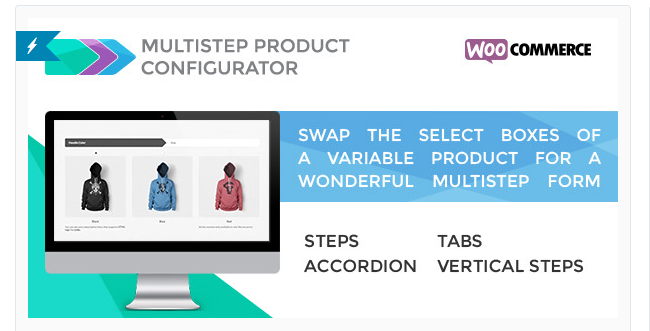 The Multistep Product Configurator plugin allows you to display product options and variations as multiple steps using accordions, tabs, steps, and vertical steps. 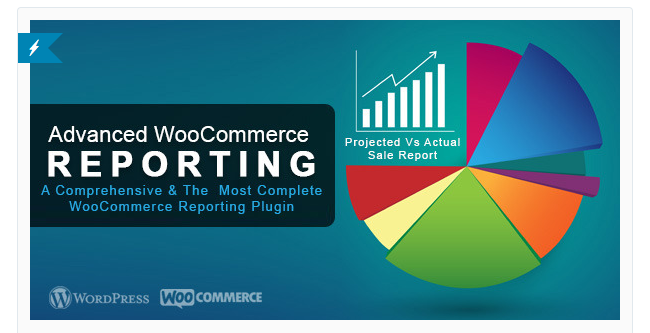 This plugin goes beyond the default reporting found in WooCommerce and allows you to see projected vs actual sales, detailed reports on every page, sales summary, and more. You can export the reports as .csv, .pdf, and .xls files. You can automatically generate a SKU for parent and simple products, variations or both when the product is published or updated. SKUs are generated using the attribute slugs or variation ID. If you’re targeting an international audience, use this plugin to translate your products, categories, and attributes, as well as keep the same language during the checkout process. 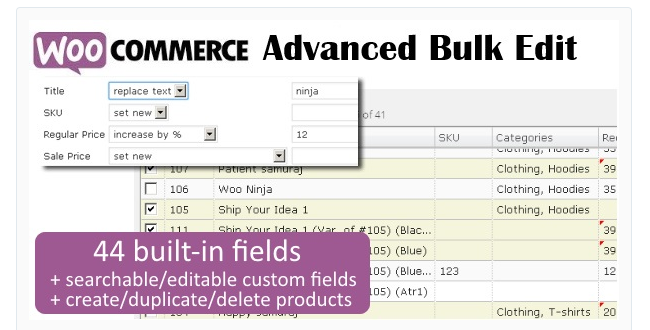 WooCommerce Checkout Manager allows you to customise the fields on your checkout page. You can re-order, rename, hide, and extend Checkout fields within the Billing, Shipping and Additional sections. 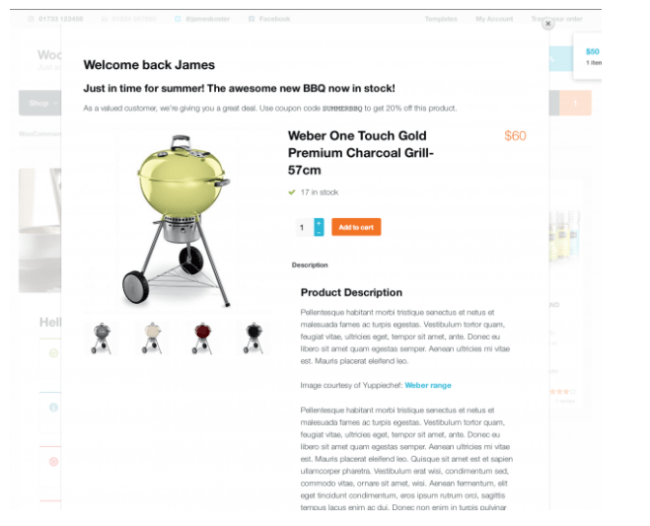 The WooCommerce Menu Cart adds a shopping cart button in the navigation bar. You can display cart icon, or only items/prices as well as display the icon even if the cart is currently empty. This plugin supercharges your site with additional features such as bulk price converter, currency exchange rates, global discount, call for price, bookings, product add-ons, and much more. Using this plugin, you will be able to automatically add social sharing buttons below individual products. You can also use the shortcode to add the buttons posts, pages, products, events, widgets, and more. With the help of this plugin, you can expand your inventory by using your Amazon affiliate link and importing Amazon products to display in your store. The last section in this guide includes a variety of useful plugins that will help you improve your conversion rate, turn your store into an online catalog, collect donations on your site, run better advertising campaigns, and more. Touted as the all-in-one marketing dashboard for your store, Conversio allows you to send all types of emails, as well as use on-site widgets such as product recommendations, product reviews, customer feedback, and supercharged search all from one place. With this plugin, you can add multiple levels of wholesale pricing depending on the user role. You can add a “wholesale” price using an extra field that will be added to your product data tab for each role. This is applied to simple products, as well as variations. 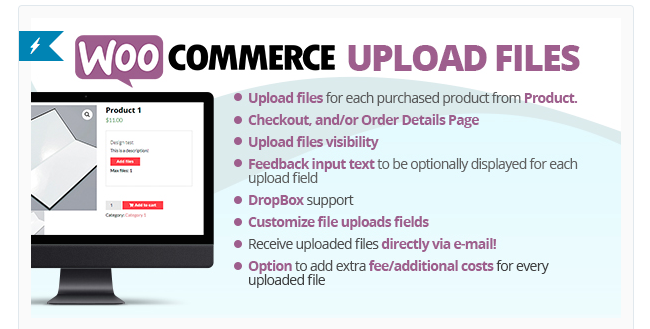 The WooCommerce Upload Files allows your customers to upload one or more files from the product page, order detail page and/or during the checkout process according to the purchased items. Allow your customers to download a PDF catalog of all the products in your store. You can also configure the plugin to create a PDF catalog of a specified category and the plugin includes a shortcode to display the download catalog button in widgets, below products, and anywhere else on your site. Easily accept donations in your store with WooCommerce Donation plugin. Show donations as usual WooCommerce products and optionally, pre-configure the amount or leave it as free-entry. This plugin allows users to login and checkout using social networks such as Facebook, Twitter, Google, Yahoo, LinkedIn, Foursquare, Windows Live, VKontakte, Instagram, PayPal, and Amazon. With WooCommerce Extended Coupon Features, you can add extra functionality to the WooCommerce coupons and set automatic discount rules. If you need to add extra product options to your products, this plugin might be what you need. It allows you to create priced product variations, use conditional logic (within the form builder), build forms, style and validate features. If your store is based in Germany, this plugin comes in handy. It extends WooCommerce to technically match german legal conditions and aims to perfectly adapt WooCommerce to meet the special requirements of German market. Try the WooCommerce Stock Manager if you want an easy way to manage stock for all your products and their variations from one screen. This plugin displays a list of customers who bought a specific product at the bottom of the WooCommerce product edit page or as a shortcode. It also allows you to send an email to the list of customers, print the list or export it as a CSV, PDF or Excel file. 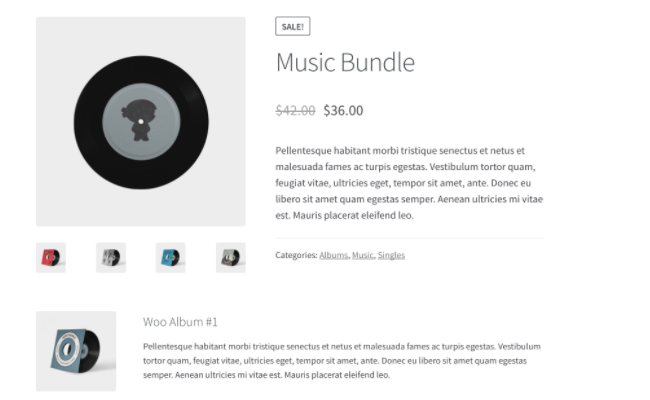 WooCommerce Product Slider allows you to display a mobile responsive carousel of your products. You can customize the slider in terms of colors, filter slider by products, display prices on the slider, and more. 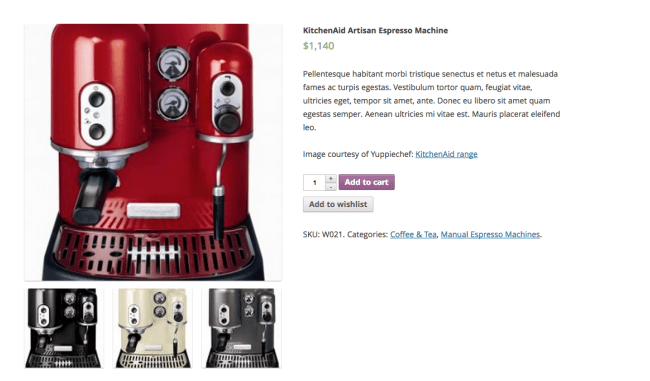 Display product variations in a visually appealing way with the help of this plugin. It allows you to select a style for each attribute as color, image or label. 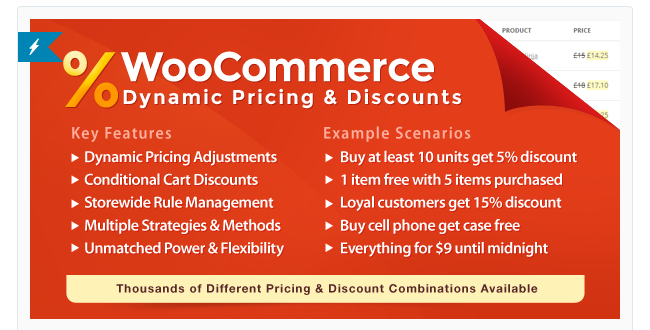 A discounting tool for WooCommerce, this plugin allows you to create tailored discounts such as Buy One, Get One, bulk pricing, catalog pricing, and more using percentage, fixed amount, and discount cheapest discounts. This all-purpose pricing and promotion tool can be used for regular sales, promotions, special offers, bulk pricing, tiered pricing, and more. You can also conditionally increase prices or charge extra fees when needed. Using Fancy Product Designer, your customers can design any type of product they want by uploading an image and selecting colors and fonts they want. WooCommerce Catalog Mode can be used to turn your WooCommerce shop to a Catalog View Mode where the add to cart button is removed and visitors can just browse your products and contact you with any questions. This plugin adds an Excel-like spreadsheet feature to manage products, product variations, customers, coupons, and orders. Consider this plugin if you advertise with Google AdWords. It inserts the customized remarketing pixel on all your shop pages, allowing Google AdWords to collect customer behaviour data and enabling you to run targeted remarketing campaigns. Easily add products and product variations at once. You can filter products and then make the necessary changes such as editing categories, variations, price, and more. 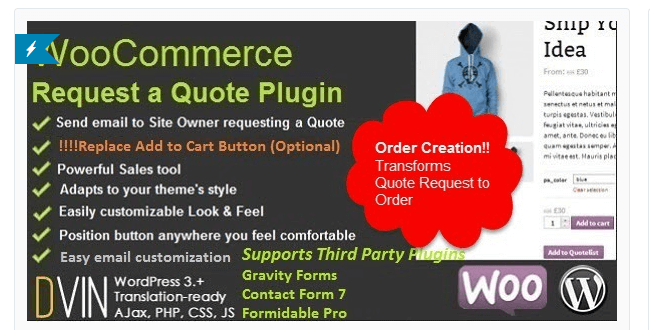 This plugin allows your customers to add products to a wishlist and submit a request for a quote. You can then give them special rates based on the quantity/amount of the order. Simplify your checkout process with this plugin. 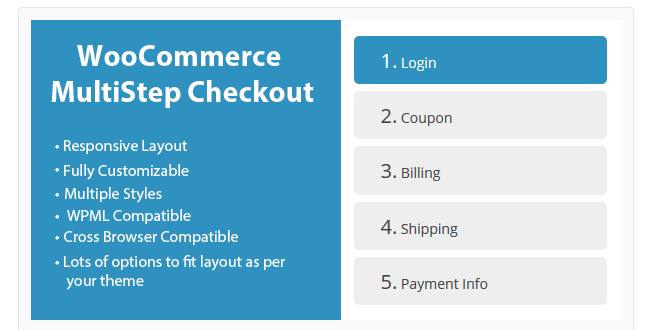 It will create a checkout wizard by splitting different sections of default WooCommerce checkout page and give users a better checkout experience, thereby improving your conversion rate. Sync your offline store with your online store with this simple plugin. It adds the ability to sync your WooCommerce orders and payments with your POS, administer multiple outlets, and more. Use this plugin to accept partial payments and deposits for any of your products as well as bookings. Customers pay a fixed price or percentage up front. This plugin adds a new side panel on the order page to allow you as well as your registered customers to print out the invoice or delivery note. The plugins on this list will help you add extra features to your store and allow you to automate some of the tasks, promote your store, offer extra features to your customers, and much more. Use it as a starting point to take your store to the next level and enhance your customer’s experience.